Brewers add Christian Yelich for a bargain price, but is that going to be enough to contend? The Marlins sold their last remaining piece of value for much less than they should have. 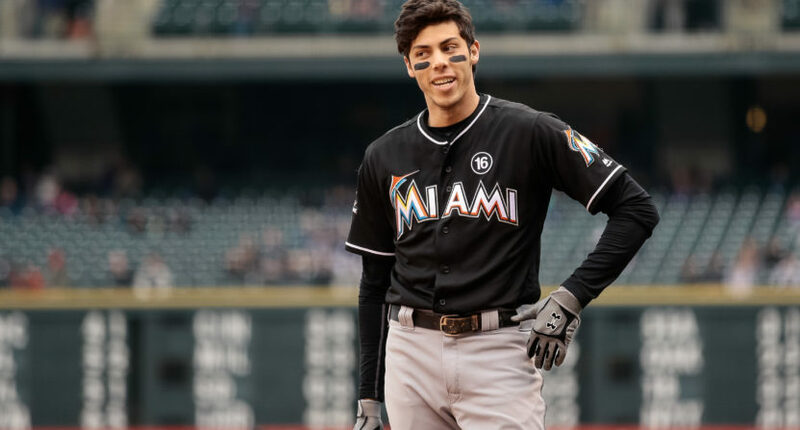 The Milwaukee Brewers have added perhaps the best young player available on the trade market in Marlins outfielder Christian Yelich. That’s big for Milwaukee; Brinson and Harrison were both on ESPN prospect guru Keith Law’s top 100 rankings this week, but Milwaukee had four other players on the list they were able to keep, including their top-ranked prospect, Corbin Burnes. The Cubs are still likely the frontrunner in the NL Central, but getting Yelich for this price is an absolute steal. As with the other Marlins trades this offseason, you have to wonder whether they were really shopping around their assets to the best of their ability; Yelich, on that contract, is the kind of player that should be bringing back a better return than a package headlined by Lewis Brinson. Lewis Brinson turns 24 in May and has 55 plate appearances. Christian Yelich turned 26 last month and has been a 4.5 fWAR player three separate times. The Marlins turned three assets into, essentially, a few decent prospects and a ton of salary relief. How is this good for the game? Just about the only good thing about this deal is the Brewers not being a big-spending team by nature; it also livens up the race in the NL Central, and could perhaps push the Cubs to up a potential offer to a player like Yu Darvish in an effort to more comfortably pad their projected lead in the division. Most of all, though, given how slowly things have developed this winter, it’s exciting to have an actual baseball thing happen! Grant Brisbee is writing about teasers for Super Bowl commercials, for god’s sake, we needed something to talk about. UPDATE: This helps a bit, too. They really are going for it!